Botox is largely associated with people aged 35 and above and this is because it is associated with aging. A new study now reveals that patients in their 20s are increasingly using to Botox treatments more than ever. Botox is one of the most popular treatments when it comes to anti-aging procedures and it therefore comes as a surprise that a younger crowd is using the skin regimen. According to the American Society for Plastic Surgeons, 78,500 patients aged between 20 and 30 underwent Botox procedures which was an increase of 11% from 2009, the previous year. 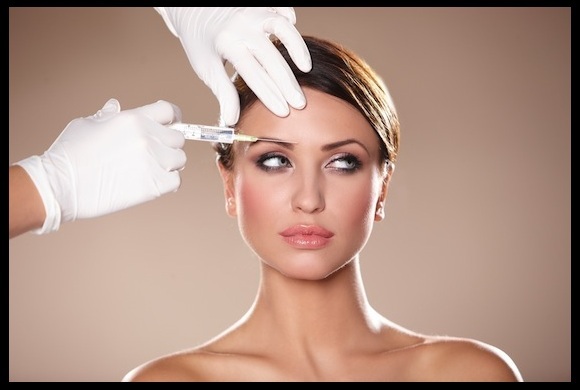 Botox has indeed gained a massive following since it was introduced in the U.S in 2000. Initially the treatment was meant to treat cervical dystonia which is a condition that affects the neck and shoulders, causing painful spasms. Two years later in 2002, the drug then became a cosmetic one and has since been used to treat aging signs. Perhaps the question many of you are wondering is why Botox and not any other cosmetic solution? Well, the world is increasingly becoming superficial and the youth want to have perfect, flawless faces and they are probably thinking the earlier the better. The fact that more people aged in their 20s are able to afford Botox proves that it is not an expensive procedure. Because people this age are increasingly becoming busier as they pursue their careers, it provides a quick solution to look great. The procedure not only takes a few seconds but also takes effect fast and can last a few months. Considering people this age don’t have wrinkles to hide, it’s safe to say that they need the procedure ‘less often’ and could probably have maybe just two or even one Botox procedure a year. You would be forgiven for assuming that it’s just the young women in this age bracket who are pursuing Botox, but men in their mid 20s are also becoming major Botox users. It appears that the younger generation is eager to keep wrinkles at bay long before they even begin to appear. What many people don’t know is that Botox is not just a cosmetic treatment. Botox can help treat migraines, muscle aches, profuse sweating, eye muscle disorders and other conditions. One of the good things about Botox is the fact that it can be used in combination with other cosmetic procedures– such as microdermabrasion, dermal fillers as well as chemical peels in order to improve the cosmetic results that the youth are after. Gone are the days when Botox was a cosmetic treatment for the aging. Times are changing and the people in their 20s are now realizing that they need to start taking control earlier, as far as aging is concerned. Botox is one of the easiest and simplest procedures they can take advantage of.